BGZ is a joint private and public-sector institution based in Berlin, set up to implement projects of international cooperation. Our associates are the State of Berlin and the Berlin Chamber of Small Business and Skilled Crafts. The BGZ is a non-profit organisation and receives institutional support from the State of Berlin. This support enjoys excellent returns – all our projects have partner organisations in Berlin and close contact with the capital city region. Together with our associates, we promote the international links of the city of Berlin and assist our partners to acquire, develop concepts for, implement and firmly establish projects of national and international donors. The structure of our company, our goals and specific competence in the area of international cooperation have made us one of a kind in Berlin. The international BZG team is made up of experts drawn from the fields of vocational training, development policy, economy, the labour market and employment. Although we have specialised in certain thematic focal points, we are still able to react speedily and flexibly when new developments and requirements arise. Our first steps were the cooperation with Turkey and Poland, nowadays our network includes organisations in almost all EU countries and Berlin city partnerships. 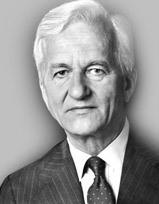 The BGZ was founded in 1983, initiated personally by Richard von Weizsäcker, Mayor of Berlin at the time and later Federal President, and has now 35 years of experience. In the meantime we are proud to lay claim to about 100 projects, a success which would not have been possible without our staff. Our special skills complement each other perfectly and our teamwork continues to be highly successful.